System complexities are growing exponentially driven by ever increasing application demands and technological advances that allow us to put complete multi-processor systems on a chip (MPSoCs). System-level design that jointly covers hardware and software is one approach to address the associated complexities in the design process and the market pressures. This course presents state-of-the-art methods, tools and techniques for system-level design and modeling of complete multi-processor systems from specification down to implementation across hardware-software boundaries. Using the SpecC language and the System-On-Chip Environment (SCE), we will specify, simulate, analyze, model and design hardware-software systems based on examples of typical embedded applications. This class is offered in two sections: on-campus lecture (12649 - V30) and video streaming (15750 - V35). Video streaming is a recorded video of the last lecture without real-time interaction. Blackboard discussion forums and office hours will be offered. Video streaming students are strongly encouraged to participate in on-campus lectures. This allows active participation in class discussions. Non-video streaming students will not have access to the lecture videos. Please note that international students can only enroll into 1 video streamed course per semester (please check with ISSI). System design examples and case studies. Kluwer Academic Publishers, Boston, June 2001. Kluwer Academic Publishers, Boston, May 2002. 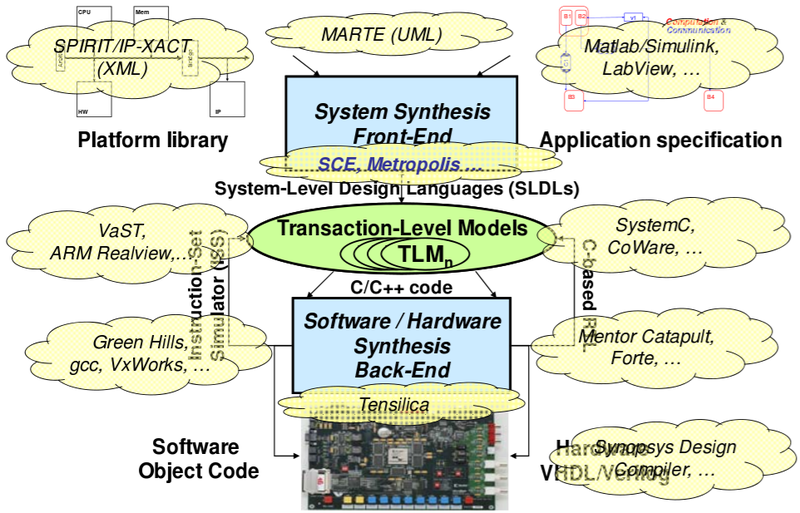 "Embedded System Design: A Unified Hardware/Software Introduction"